Getting new water services installed can be both a bothersome and an expensive job. Many people try to avoid getting this done until it is absolutely necessary. However, at times when your old water connection is about to collapse due to it is age, saving money on a replacement will mean that you are running the risk of flooding your entire property. Many people have reported thousands of dollars worth of damage simply because they were trying to avoid getting new water services installed. With years of experience under our belt, you can be assured that Metro Plumbing and Drains is the right company to call for this job. We have successfully completed many projects residentially and commercially, facing and professionally overcoming unexpected challenges, finding the best suitable resolution regardless of its simplicity or complexity. We are experts at what we do! 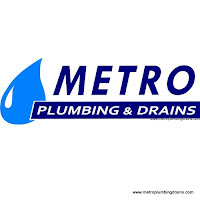 Metro Plumbing and Drains guarantees 100% excellence in every aspect of customer service. Our team of professional plumbers has the best training, skills and attitude to complete any project in a proficient and prompt manner. Our company always takes a step further to achieve the best customer satisfaction. We provide upfront pricing before starting the project to avoid any miscommunication and unpleasant surprises for our customers. Once the customer agrees on the quote provided by our professionals - only then the work will begin. Our staff will gladly explain and guide through the installation process and services that we will be providing ensuring that our customers fully understand and feel comfortable for what they will be paying for. Metro Plumbing and Drains accommodates scheduling flexibility according to our customer's lifestyles. We understand the value of your time, and the frustration of waiting around for the next available appointment. We are always ready to service our customers regardless of how small or big the job might be!